For Professor X, being paralyzed is not seen as a disability or weakness because his mental capabilities are so outstanding, generally making him still the strongest and most powerful person in the room. Daredevil - Originally introduced introduced in 1964, Daredevil (lawyer Matt Murdock) was blinded by radioactive material, leaving the rest of his senses heightened to the extreme! Silhouette - Originally introduced in 1990, Silhouette has the power to "melt" into shadows. Born with her mutant abilities, she fought street crime alongside her brother until she was partially paralyzed from the waist down after getting shot. She then turned to fighting the worlds larger evildoers. There's also the dilemma of how mental and physical disabilities are portrayed differently. Physical disabilities are usually portrayed to elicit pity or amazement, whereas mental disabilities generally are portrayed to elicit fear. There are dozens and dozens of disabled superheroes and villains throughout film and comic books. And arguably most comic book and movie heroes and villains have special (dis)abilities. I've selected these heroes and villains because they physical and mental (dis)abilities that alter how even their "super powers" are perceived. 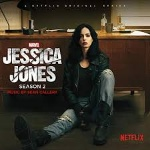 After the success of Daredevil (2015), Netflix premiered Jessica Jones in 2015. Jones first appeared in a comic in 2001, as the owner of private detective agency after her superhero career was cut short by Post-Traumatic Stress Disorder. This reminds me a lot of how Cece in El Deafo (2014) finds a way to use her unique ability to be confident in herself and do incredible things, despite others' perceptions of her abilities. I asked my brother, who is also a comic book artist and a journalist, about his thoughts on this topic. He said that in his lifetime, about 35 years, he has seen significant improvements, but that he has seen even more improvement in the comic and graphic novel field, He thinks that maybe comic books about superheroes have aways been more progressive on the topic, but that they continue to strive to more accepting and representative of the world's incredible and diverse population. It;s not only how people with (dis)abilities are portrayed, but also who portrays them, If it seems hard to believe that Mr. Glass with his unbelievably fragile bones could be 6' 2" like the actor who plays him (Samuel L. Jackson) is, you're not wrong. Their are so many actors with various abilities, and yet they're not getting cast. This is an issue that especially take ground recently. Should All Disabled Roles Go to Disabled Actors? Spanning 19 years, M. Night Shyamalan's Unbreakable Series, featuring Unbreakable (2000), Split (2016), and Glass (2019), bridges the movie and comic book world, playing on the tropes of superheroes and villains in film and contemplating the possibility of everyday disabilities and abilities as extraordinary. The Villains and The "Hero"
The Beast - Kevin Wendell Crumb uses the name "The Beast" in reference to his 24th dominant personality. Crumb's DID began to develop after his father died in the train crash that Dunn survived, and his mother begins abusing him. David Dunn - Dunn was college football star who could not be injured. Glass became aware of him after he became the sole survivor of a train crash. Dunn's only weakness is water, after a near drowning accident as a child. One problem that often occurs with the representation of heroes with varied physical and mental capabilities or obstacles is treating them as a vigilante, a hero that operates outside of the law - morally grey. The other is that heroes are often idealized, treated as the pinnacle of human perfection and morally sound. Neither of these, we need to learn to display both heroes and villains as morally complex characters, taking their mental or physical challenges out of the equation that has led them to the identity as a hero or villain. Mr. Glass - Elijah Price took on the name Mr. Glass in reference to his childhood nickname, based on his rare fragile bone condition. He orchestrates the critical train crash, as well as other incidents. My dad founded a business in 1980 called Eagle Sportschairs, designing and manufacturing everyday and sports wheelchairs and equipment. His customers have a whole range of physical impairments, some are paraplegic like Professor X, some are quadriplegic (paralyzed from the neck down), and some just need assistance from a wheelchair or another device to give them increased freedom and mobility. My dad has customers all over the world, including athletes competing at the the local, national, and international levels in all different sports. By providing qualities materials and resources, my dad helps people who might otherwise be viewed with pity or seen as inferior due to "physical limitations" transform into superheroes, as champions and incredible athletes and role models. Certainly my dad has helped with this, but these people would not be the athletes they are today if any of the stereotypes of disability were true. Something my dad has always strived for is the appropriate and positive representation of his clients and customers. As a someone who has spoken to the US Olympic and Paralympic teams and Committee, as well as colleges, conferences, and businesses, he thinks carefully about not just representing them as incredible athletes, but also as incredible people - mentioning their career accomplishments, families, and diverse lifestyles. He has lots of young customers, including kids as young as 3 and 4, and he says that they are the people he does this for - so that all people can grow up seeing themselves reflected in the positivity and accomplishments of the world. In Glass (2019), we catch up again with our hero, David Dunn, and villains Mr. Glass and the Beast. The three end up at a mental institution, and ultimately battle. The institution captures footage of the fight, and it is ultimately revealed to the public, acknowledging the existence of superhumans. Split (2016) was first seen as unrelated to Unbreakable (2000). It follows Kevin Wendell Crumb, a man with Dissociative Identity Disorder, after he has kidnapped 3 teenage girls. Kevin has 23 known identities, and one hidden identity that he refers to as "The Beast, claiming that The Beast will overpower the other identities, transforming his body into something beyond human, capable of great evil. At the end of the movie, we catch a cameo of David Dunn . Unbreakable (2000) tells the story of Elijah Price, a comic book arts dealer born with a rare consider leaving his bones extremely fragile. Giving himself a villain worth name, Mr. Glass, he believes there must be someone at the other extreme, someone "unbreakable", i.e. David Dunn who is the sole survivor of a devastating train crash at the beginning of the film. Dan is known comic artist. He started writing and illustrating Department of Ability for his daughter, who has Spina Bifida, to ensure she would see representation of kids and people like her with varying abilities in visual culture. Bell also grew up with severe hearing loss. The story is complex, crafted to make readers, even very young readers, consider the difference between disability and circumstances that they're not personally familiar with. Kersten (2017) describes why graphic novels have been such a validating resource for detailing the experiences of disability. She particularly discusses the deaf experience, but states that graphic novels also have a rich autobiographical and particularly female history that provides voice to many people of different backgrounds and experiences (Kersten, 2017). Smith D'Arezzo and Holc (2016) acknowledge that El Deafo highlights one of the fundamental issues with (dis)ability representation - it's not really the people with (dis)abilties are more impaired but that people who are seen as "normal" are impaired in their ability to respond. Kersten (2017) also notes that because graphic novels are both textual and visual experiences, they open the door for people of varying abilities to access and enjoy them. This is different than say a piece of art on a wall that can really only be experienced visually. Cece is a full time author and illustrator with a graduate degree in Illustration. Bell, C., & Lasky, D. (2015). El deafo. Winnipeg: Manitoba Education and Advanced Learning, Alternate Formats Library. Irwin, M., & Moeller, R. (2010). Seeing different: Portrayals of disability in young adult graphic novels. School Library Research, 13, 1-13. Retrieved February 24, 2019. Kersten, S. (2017). “We are just as confused and lost as she is”: The primacy of the graphic novel form in exploring conversations around deafness. Childrens Literature in Education, 49(3), 282-301. Retrieved February 24, 2019. Smith-D’Arezzo, W., & Holc, J. (2016). Reframing Disability through Graphic Novels for Girls: Alternative Bodies in Cece Bell’s El Deafo. Girlhood Studies, 9(1), 72-87. Retrieved February 24, 2019.